The fugitive chief recruiter for the Islamic State in the Indian subcontinent Mohammed Shafi Armar was on Thursday named a 'Specially Designated Global Terrorist' by the United States, becoming the first Indian leader of the dreaded terror outfit against whom America has slammed sanctions. 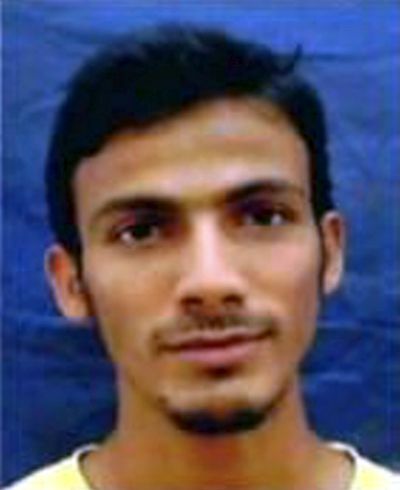 The US State Treasury Department, while updating its list of Specially Designated Global Terrorists, has included in it Armar, a native of Bhatkal in Karnataka, clearing the way for sanctions against him. An Interpol Red Corner notice is also pending against the 30-year-old Armar, who has many aliases like 'Chhote Maula', 'Anjan Bhai' and 'Yousuf al-Hindi'. Armar's name has now been added to the Office of Foreign Assets Control of the US Treasury Department which enforces economic sanctions programmes, primarily against countries and groups of individuals, such as terrorists and narcotics traffickers. The sanctions can be either comprehensive or selective, using the blocking of assets and trade restrictions to accomplish foreign policy and national security goals of the US. This is for the first time that the US has slammed sanctions against an ISIS leader in India. "Mohammed Shafi Armar is a leader and head recruiter in India for the Foreign Terrorist Organisation and Specially Designated Global Terrorist group, ISIS,” the State Department said. "He has cultivated a group of dozens of ISIS sympathisers who are involved in terrorist activities across India, such as plotting attacks, procuring weapons, and identifying locations for terrorist training camps," said the statement. Armar was said to have left for Pakistan along with his elder brother after crackdown on Indian Mujahideen cadres. After a fight with Bhatkal brothers, including Riyaz, the founder of IM, in Pakistan, Armar is believed to have created Ansar ul Tawhid, which later pledged its allegiance to the ISIS. There have been many reports of him having been dead in a drone attack or crackdown by the allied forces. However, every time intelligence agencies began giving credence to such reports, his name or voice cropped up in intercepts. Tech savvy, Armar has been operating on Facebook and other personal messenger services to contact, brainwash and recruit youths from India, Bangladesh and Sri Lanka. Armar first came on the radar of investigation agencies when the National Investigation Agency was probing suspected Islamic State cadres in Ratlam of Madhya Pradesh. The NIA had chargesheeted him along with five others for allegedly conspiring to carry out terror strikes in the national capital and also during ardh kumbh in Haridwar. The National Investigation Agency had told a special court that these accused were planning to assemble improvised explosive devices using extracts from "match sticks". The United Arab Emirates had deported three Indians who were allegedly working for Armar. It emerged during the interrogation of IM suspects that he was a self-proclaimed ally of Abu Bakr al-Baghdadi, chief of the ISIS. "He was a leading coordinator of the November 2015 Paris attacks and March 2016 attacks in Brussels,” the State Department said. The Belgian-Moroccan national was responsible for recruiting, training, and sending at least some of the individuals to Paris to launch the November 2015 attacks, which killed and injured hundreds, including Americans, it said. Mohammed Binali is a senior member of ISIS who departed Bahrain to join the terrorist group in 2014 and has since appeared in multiple ISIS propaganda videos calling on Bahrainis, specifically members of Bahrain’s security forces, to join ISIS, it said.